This beautiful country church bird house is the ideal finishing touch for any growing garden. 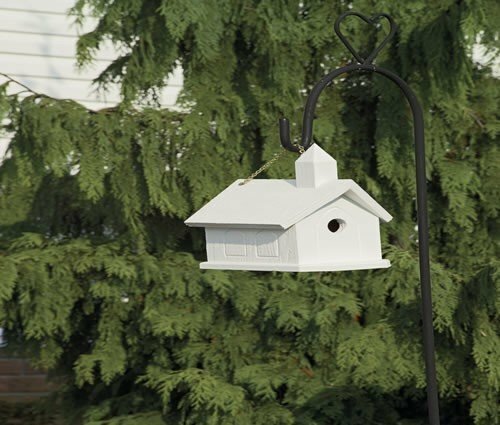 The perfect size invites all manners of singing birds to make your outdoor space their permanent home, filling the air with the sounds of wrens, woodpeckers, and much more. With a detailed steeple and a beautiful finish, this bird house is an exceptional example of the quality and attention to detail that make our Amish craftsmen the best in the world. The solid-wood construction promises years and years of enjoyment for you and your garden.